The weather outside may be frightful, but travelling this winter can be delightful! 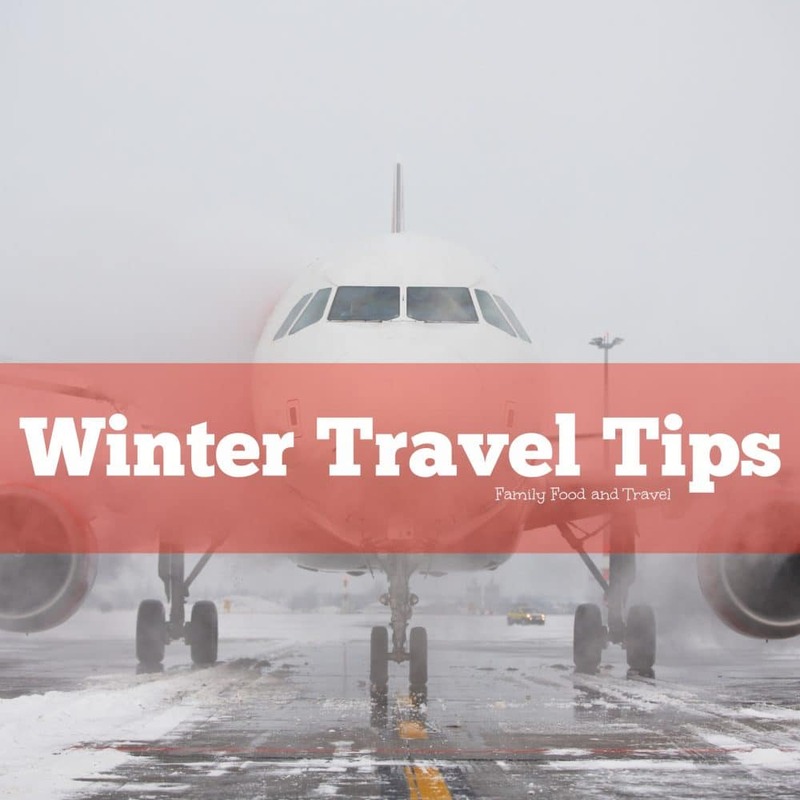 Whether you’re packing for a winter wonderland with the kids or escaping the cold, these winter travel tips from the Canadian Air Transport Security Authority (CATSA) will make airport security a breeze. Snowy weather can make getting to the airport a challenge, so make sure to arrive with plenty of time to check in and go through screening. Wait times for major airports are listed on CATSA’s website or CATSA’s app for your convenience. Remember to put all liquids, aerosols and gels over 100 millilitres in your checked baggage―only amounts less than 100 ml in a 1-litre clear, re-sealable plastic bag are allowed on-board. Though you’ll likely be bundled up for winter weather, remember to put your coat in a bin at the screening checkpoint. Same goes for boots and belts with large buckles. Keep them happy by packing their favourite snacks – solid foods like fruit and chocolate are allowed in your carry-on bag. If you are travelling with an infant younger than two years of age (0-24 months), you can bring baby food, milk, formula, water, juice and other baby items in your carry-on bag. Look for the Family/Special Needs lane. There is extra space to accommodate larger items like strollers and car seats, and screening officers who offer additional assistance. Screening officers hate unwrapping other people’s presents. Gifts packed in your checked bag or carry-on should be wrapped when you arrive at your destination. Better yet – some airports have gift-wrapping services located past security during the holiday season. For more tips to help you breeze through security this winter, visit CATSA at catsa.gc.ca, on Twitter (@catsa_gc) or Pinterest (CATSAGC). Oh I would never think about gifts needing to be inspected! Great information! Gift wrapping services are such a great idea! Last year my brother in law and his partner were coming to Canada from Australia for the holidays so they were packing a lot of gifts. Apparently one had really expensive cologne in it and it got unwrapped and taken away! They totally forgot about the liquid thing when they rounded up the wrapped gifts and stuffed them in a carry on bag. oops! Great reminder for everyone with this post! Great tips and reminders for those travelling over the holiday season – especially the not wrapping your gifts beforehand. I wouldn’t have thought to do that but now it makes sense. Great tips. I hadn’t thought about wrapped presents being a problem until I watched an episode of Border Security where someone was trying to bring illegal items in wrapped as gifts. Great tips! When I visit my family we usually always go in winter. I have flown so many times, each time I learn something new, regarding what and what not to bring, pack, but yet I still always pack more clothes than needed! The big bulky stuff like coats/sweaters/boots takes up so much room in our suitcases . I wish we could fly somewhere hot one off these winters. Totally agree! Winter clothes take up too much room in suitcases – I vote for warm too! Nice tips.. traveling is not an easy thing, but it can be a really fun thing when you land and they hand you a nice drink! I don’t travel with gifts. I always ship them ahead of time. Great tips! I try to stay home during the bad months. All of my family lives nearby so I still get to see them for the holidays. Thankfully we are staying put for both holidays, but I know it can get really crazy on the roads and at airports. Grateful my family lives close and doesn’t have to endure this either. I love your travel tips!! Lol – absolutely true! I make careful travel clothing choices for me and my kids to make it easier! It’s always better to be prepared than stubborn to the rules and get delayed and make matters worse for ourselves and everyone. That’s a great reminder about gifts. I ship gifts as I don’t fly often but I wouldn’t have thought of needing to keep them unwrapped. Thankfully our family all lives right nearby, but these are some great tips! I won’t be traveling for the winter but I have in the past and it was a nightmare. These are some great tips. I LOVE the family lane at the airport. Makes things do much smoother! Some really insightful suggestion here! 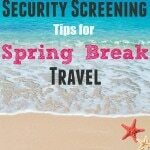 I don’t have the opportunity to travel much, but my children do, so I will be sure to pass these great tips on! We cross the border 2-3 times a week with our job. You have some good tips here. It really depends so much on who you get at inspection, but always a good idea to refresh on the rules! Great tip for accommodating larger items like strollers and car seats is to go into the family/special needs lane and additional assistance is provided by the screening officers.